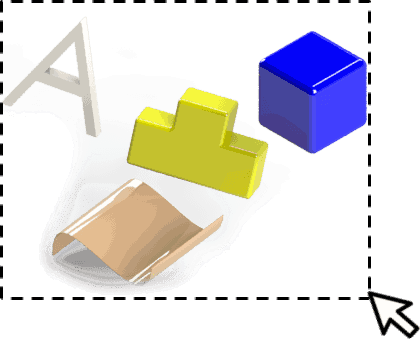 Selection is a vital part of SOLIDWORKS API development process. In this article different selection methods and selection options will be discussed. Selection marks are integer attributes which can be associated with the selected entity in order to differentiate different group of objects by purpose. For example selection used in different selection boxes in the property manager page will have different selection marks. 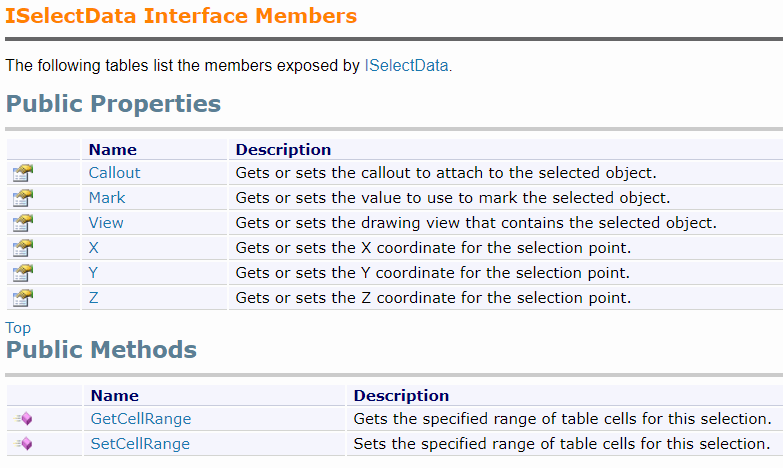 Selection marks can be assigned while selection of new objects via IModelDocExtension::SelectByID2 method, or direct Select methods such as IFeature::Select2 where the mark is passed as an Mark parameter. Selection mark can also be passed within the Selection Data ISelectData::Mark property as some select methods expect this object to be passed to the method as Data parameter (e.g. IComponent2::Select4, IAnnotation::Select3 methods). Use ISelectionMgr::SetSelectedObjectMark method to change the selection mark of already selected object. Selection data is an object created via ISelectionMgr::CreateSelectData SOLIDWORKS API method which can be passed to various selection methods (e.g. IBody2::Select2). Set the selection point. This can be also set via ISelectionMgr::SetSelectionPoint2 method for already selected object. Set the cells range to select in the table annotation. Selection data is an optional parameter. Pass NULL to methods if it is not used. Refer the ISelectData SOLIDWORKS API interface members for more information. By name or by coordinate. This method is usually used in macro recording and selects the object ‘as is’ (i.e. as it would be selected from the User Interface). This approach introduces potential issues and usually a reason for macro instability and inconsistency and should be avoided. 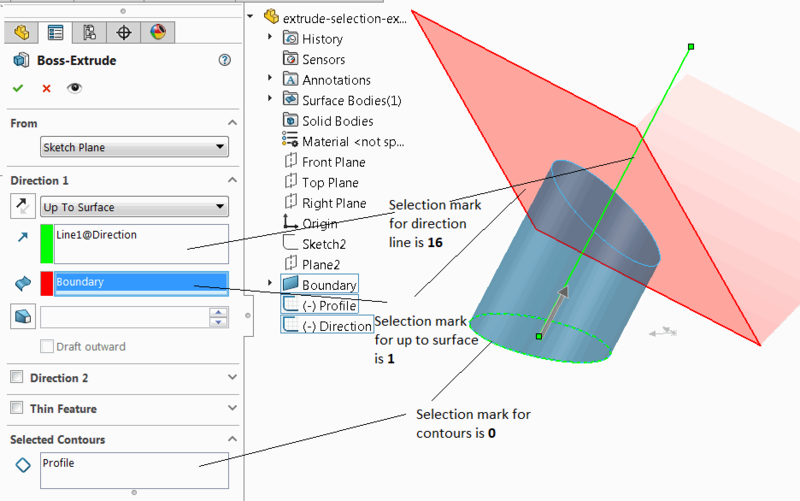 Refer the Selecting Objects By Name And Coordinates article for pros and cons of this approach. This is a preferable method of selection as it provides the consistency and it is not dependent on the view’s orientation. Refer the Select All Sketch Elements example which shows how different sketch elements can be selected. Entities in the drawing view (i.e. 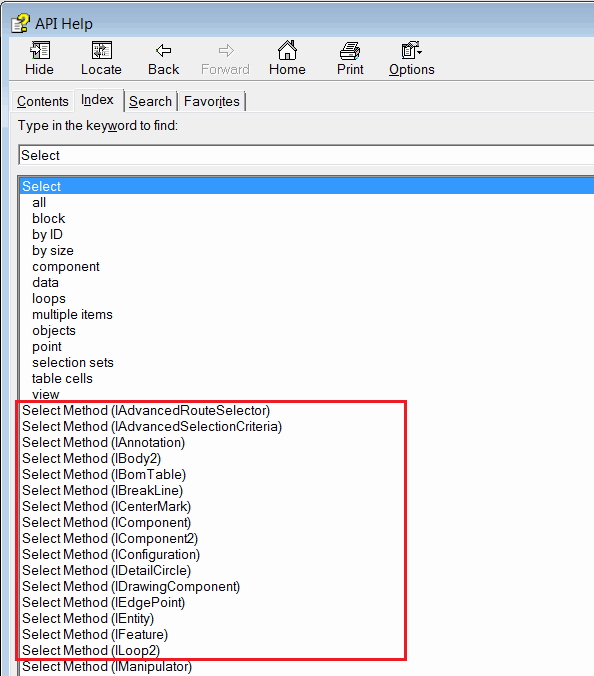 elements which are created in the 3D models) can be selected via IModelDocExtension::SelectByID2 method but it introduces the same issues as using this method in 3D models (refer Selection Methods section). Refer Selecting Entities In Drawing View article for examples of different approaches for selecting entities in the drawing views.